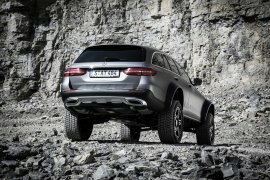 Mercedes has learned that luxurious extreme off-roaders are a license to print money, which is why it is churning out beasts like the Mercedes-AMG G63, G65, G550 4x4², G-65 6x6, and Mercedes-Maybach G 650 Landaulet each in increasingly limited numbers and increasingly astounding price tags. This is why the venerable G-Wagen, a one-time military truck designed at the request of the Shah of Iran before he was deposed attracts buyers with the highest income of Mercedes' portfolio. 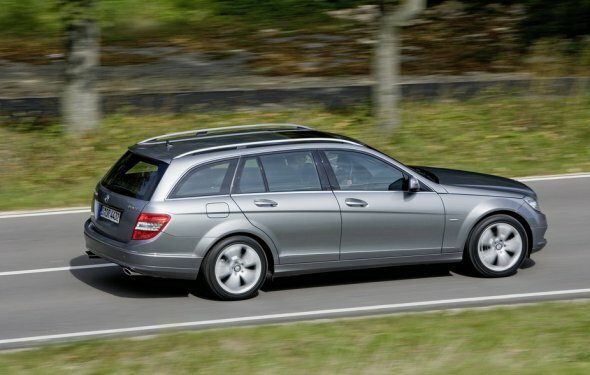 Interestingly, the other vehicle that also sells in small numbers in the U.S. but also attracts the very rich, is the E-Class station wagon. 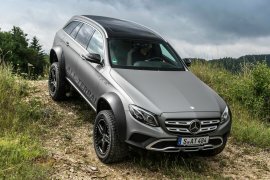 Mercedes would probably have trouble making a business case for going through the headache and expense of certifying the station wagon meets federal government regulations, but it keeps some of their most important customers happy, so Mercedes keeps the wagons rolling. 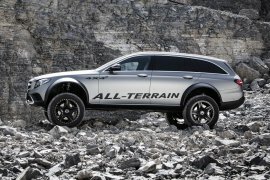 Now, they may have a way to combine crazy off-road capability and exclusive E-Class wagon practicality, thanks to a loony project by Jürgen Eberle, an engineer in vehicle development for the E-Class. 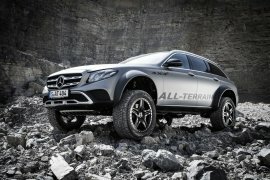 Britain's reports that Eberle got a crazy notion that the E-Class wagon is just the vehicle that needed a true All Terrain version, so he raised the car's suspension and then added the portal axles from the G-Class 4x4² to produce nearly 16 inches of ground clearance. 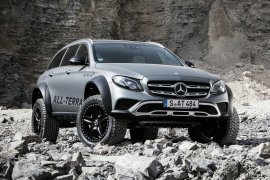 Alas, the E-Class 4x4² lacks the militaristic G-Class's locking differentials and low-range transfer case, so it still won't be taking on the most difficult obstacles. 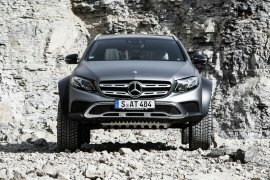 But it will easily defeat most tough conditions such as rutted cabin driveways and snowy ski resort roads. 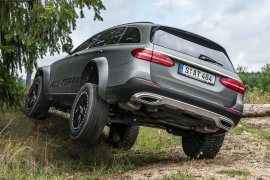 More importantly, the E-Class 4x4² can be guaranteed to absolutely slay in the valet line at the club, which is why Auto Express says that the company is considering a small production run of these unique machines.